Like other Motorola Smartphones you can Unlock Moto G 4th Gen Plus Bootloader ( AKA Moto G4 Plus + ) also . Unlocking Bootloader voids warrenty , but still people Unlock Bootloader for Development Purposes . We are not responsible for any damage caused to your Smartphone . Keep a backup of your data before following the steps , as Unlocking will wipe all your data . 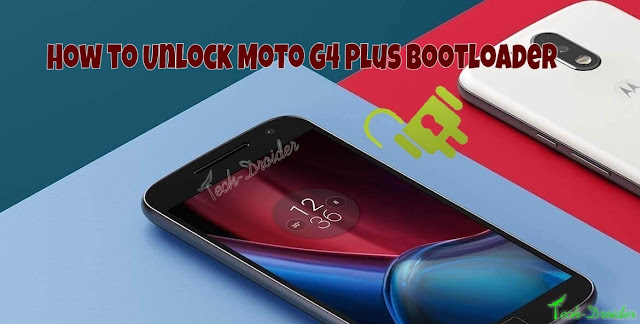 By following this below guide , you can easily unlock your bootloader of Moto G 4th Generation Plus . Step 1. Download Minimal ADB and fastboot from below . Step 2. Download and Install Latest Motorola Drivers from below . Step 3. Go to Moto G4 Plus Settings > Developer Settings and Select Allow OEM Unlock . Step 4. Switch off your Motorola Moto G4 Plus and Boot to Fastboot mode by pressing Power + Volume down button at the same time . Step 5. Now Open Minimal ADB and fastboot ( which you downloaded in step 2 ) on PC and open cmd from there . Step 6. Connect your Motorola Moto G4 Plus to PC via USB cable . Step 7. Type This on Cmd fastboot oem get_unlock_data . You will get a String , just copy it and Paste it in a Notepad and remove empty spaces from it . Step 8. Go to Motorola's website and Log in using your Google / Motorola Id and paste the Copied String on 6th Step . Step 9. Now complete all the Steps at Motorola's Website and Request unlock key . Step 10. You will get an Unlock key at your mail id , just copy it . Replace "Key" with the Unlock Key , you got on Step 10 .